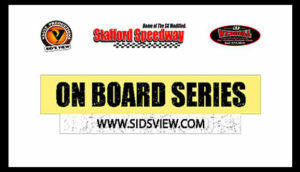 The On Board Series debuted in 2018 at the Stafford Motor Speedway in Stafford Springs, CT – one of the premiere NASCAR short tracks in the United States. The OBS profiles 1 race team each week in the track’s headlining SK Modified division. 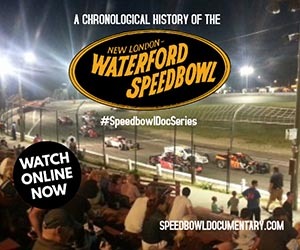 The race car is loaded up with 6-9 cameras, then edited together with footage from the main tower as well as team radio communication to get an in-depth look at how a race team strategizes the feature event. 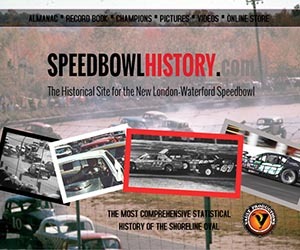 In 2019, the OBS will have a limited number of episodes feature Modified drivers in Stafford’s Open 80 events and the Sunoco Modified, Light Modified and Late Model divisions at Thompson Speedway. Click the logo below to view all the episodes of our On Board Series. 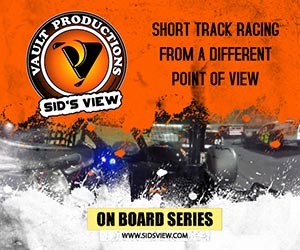 Check out our action-packed Year in Review video from the footage captured during filming of the On Board Series at Stafford Speedway during the 2018 season.